Camp Klenovica is open and in function for 25 years now. It is located 54 km away from Rijeka along the Adriatic road in the southern direction and it covers the area of 12 ha. The camp is enclosed so it provides a complete safety and easy access to all services available inside the camp. The camp’s reception offers reservation and accommodation services as well as the exchange office. Camp Klenovica is part of a Luje d.d. company portfolio. Our company have more than twenty years of experience in providing services in trade, catering and tourism. Beside Camp Klenovica in our offer is a couple of top facilities for hospitality and tourism, which you can visit by clicking on the image to the right. We wish you a pleasant stay on the website of Camp Klenovica, we hope that you will soon visit our camp and enjoy the benefits of vacation on a wonderful location. Luje d.d. 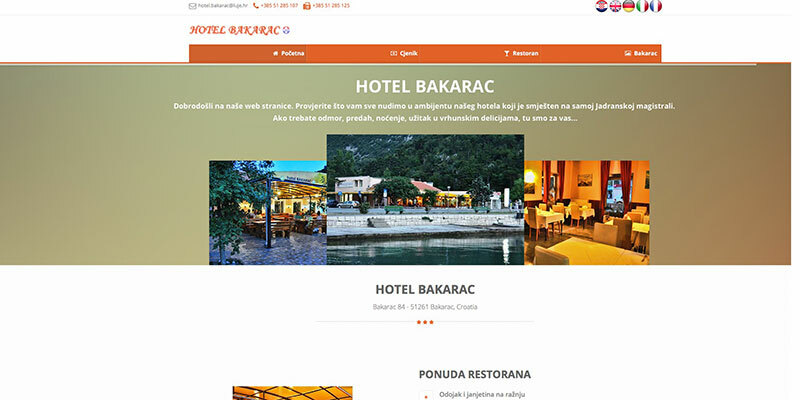 is a main company in which portfolio is Camp Klenovica also. Over two decades of experience in trade, hospitality, food production and tourism, Luje d.d. 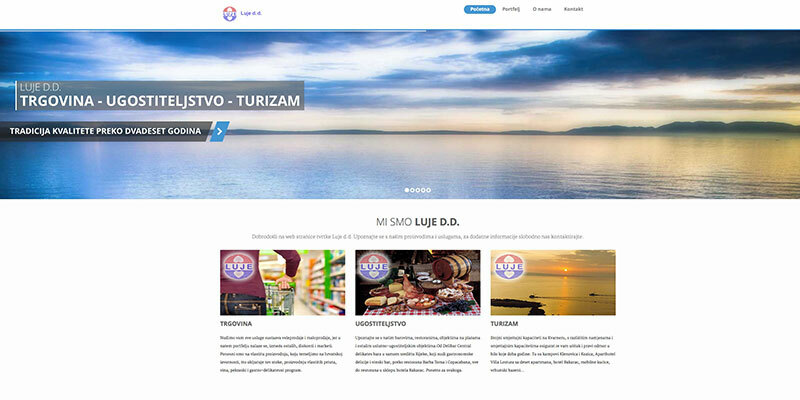 positioned itself as one of the leading brands in Kvarner. Experience, quality, respect for tradition and the highest standards are guaranteed in the long term. Camp Kozica is located in the immediate vicinity of the Camp Klenovica. If you are looking for a place for a real camping, absolutely untouched nature, crystal clear sea, unforgettable sunset, peace, quiet and seclusion, then definitely visit the Camp Kozica which will provide you with everything you need and need when it comes to camping. Villa Lostura is located in Klenovica near the Camp Klenovica. If you are not for classic camping, you are looking for comfort and luxury, then this aparthotel is the perfect place for you. 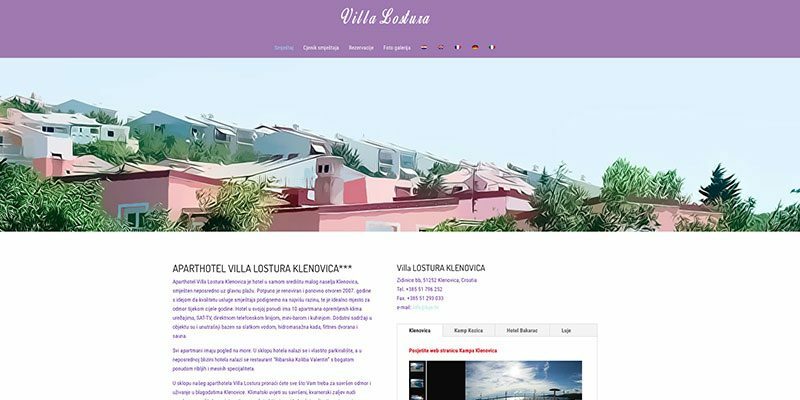 Ten luxury suites, top-level tourist delicacies, right next to the main beach in Klenovica, are all Villa Lostura from our portfolio. 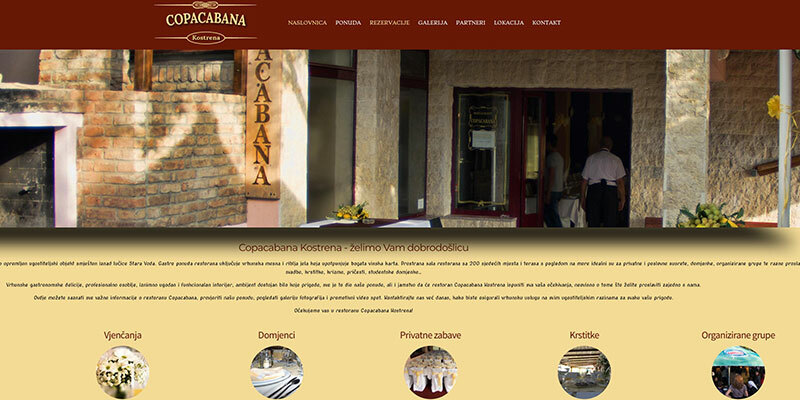 Restaurant Copacabana is located in Kostrena, by the sea, hidden and isolated from the city crowd, yet accessible and desirable. A large hall with 200 seats, a sea-view terrace, a professional gastronomic staff … Are you looking for a place for a wedding, banquet, business meeting, or something? You found it!